This home was built this year, 2018. Buyer should be able to purchase with any type of loan. Attic space is large enough to make extra bedrooms. Laundry area is located in hallway. 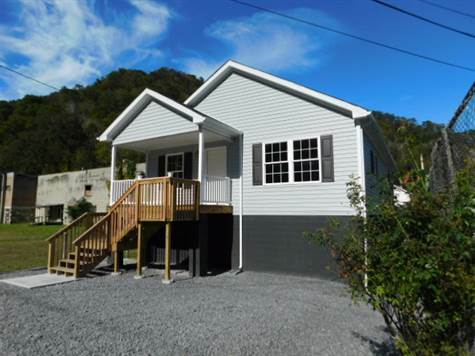 House is located close to 4-wheeler trails in the state of WV and the state of Va. Storage space under house. Back area for just hanging out in the evenings for a cookout. Call listing office or agent for more details. Listed by Hatfield & McCoy Realty.